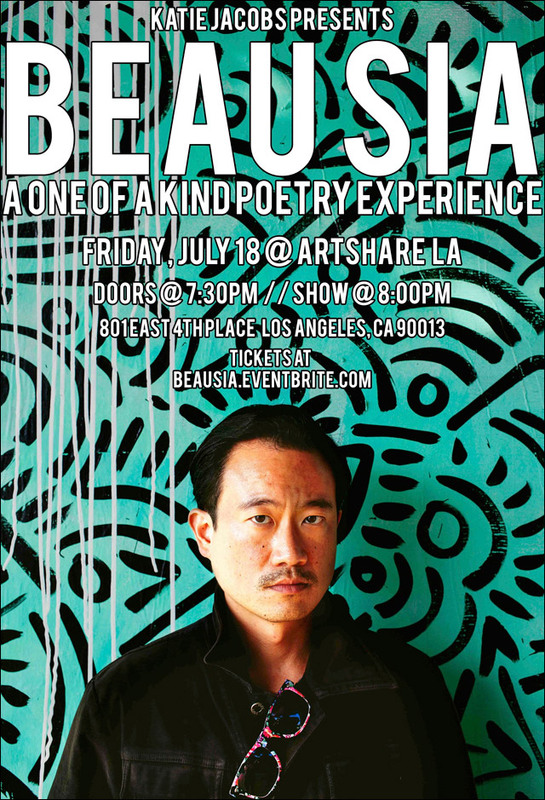 If you're in the Los Angeles area this Friday, acclaimed spoken word artist Beau Sia will be sharing new work and classic poems in his first solo play, described as a show filled with "dance, love, and the empowering potential of words." Well, that sounds awesome. Who wouldn't want to be a part of something like that? It's happening July 18 at Art Share LA. An original cast member of the Tony Award winning Def Poetry Jam on Broadway and the author of the Undisputed Greatest Writer of All Time, Beau Sia returns to the theater with a new solo show. Please note there is limited seating in the venue. Seating will be first come first serve, but there will be plenty of standing room. For further information, look to the Facebook event.